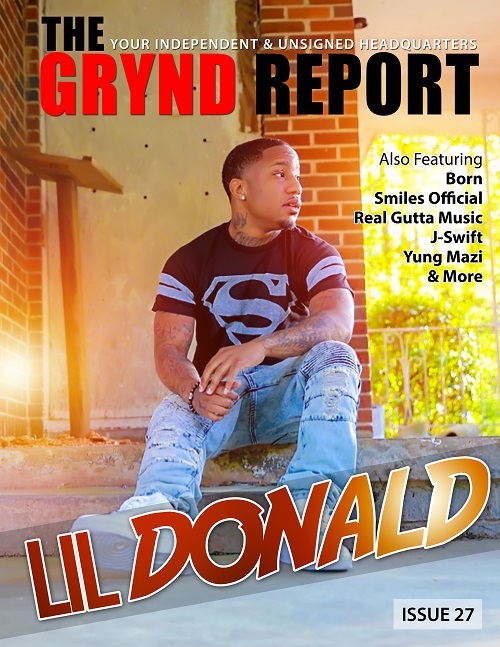 Atlanta’s own Lil Donald has been buzzing in the city for a long time. Now gracing the cover of Issue 27 we had the opportunity to dig deeper into his life and music with the recent release of his mixtape Trapmatized with his partner JMayz. As always we continue to introduce you to the industries next contenders. This issue also features Born, Smiles Official, Real Gutta Music, J-Swift, Yung Mazi, Handsome Balla, Howard from Sons of Kingston web series, J Mason, Visual Medicine (Laikyra B), Taya Bailey and Clay James.